A great success on Facebook! This week, the number of our followers on Facebook exceeded 20 000. We believe the group of our friends will continue to grow bigger and we hope to keep your favour, which means a lot to us. The CEO of PETROF company herself, Zuzana Ceralová Petrofová, has sent her greetings and thanks to all our facebook fans via a picture. We are extremely pleased by your interest and we are still ready to answer all your questions and to share with you all the news and significant events from the life of PETROF company. 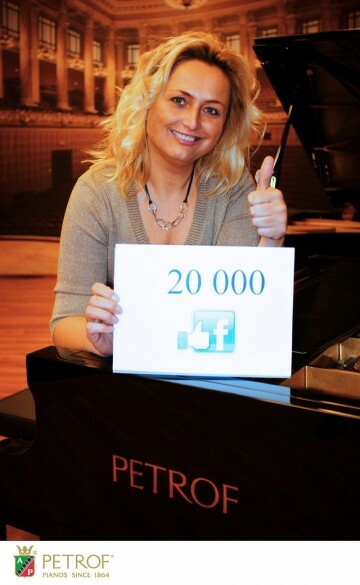 Please, visit our facebook page Petrof Pianos – official and always get the latest information – we are here for you!